*For Toyota models only. Coupon not available with other offers. Must present coupon at time of purchase. Limit one coupon per person. Coupon does not apply to prior purchases. Other restrictions may apply. Void where prohibited. See dealer for further details. Offers expire end of month. ©2018 Strong Automotive Merchandising. All Rights Reserved. 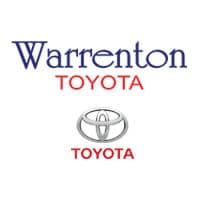 Find service savings for your Toyota vehicle at Warrenton Toyota. Here at our dealership, we take pride in providing top-notch auto services to Toyota drivers near Linden and Calverton, VA . Is it time for your vehicle to receive an expert service performance? Would you like to experience the savings opportunities that our dealership has to offer? Whether your Toyota is in need of an oil change, alignment service, or tire replacement, we are here to serve you. Schedule your next maintenance or repair job at Warrenton Toyota, today. Since your tires are what connect you to the road, it is imperative to ensure that they can adequately provide you with a safety defense. If your tires are not functioning up to par, it is best that you go ahead and replace them. However, you don’t have to break the bank in order to be safe. Check out our latest Special Tire Deals to receive savings on your next new tire purchase. Here at Warrenton Toyota , we are proud to employ a team of certified service professionals. Our staff is equipped to perform the service jobs necessary to ensure that you are travelling in a safe and secure vehicle. Are you ready to experience the exceptional maintenance and repairs we have to offer? Conveniently schedule your auto service appointment online now!